We kept our plans simple. No setup fees. No long-term contracts. We include all features with every level. The only selection you need to make is the number of users you want per data source. Are you a non-profit, government, or education organization? We offer special pricing to you! A complete BI platform for your current and future needs. Connect Yurbi to as many databases or imported Excel/CSV files as needed. Each user requires a license to connect to each data source. No limits on the number of dashboards and reports that can be created. No limits on the number of anonymous viewers for Guest View reports. Guest View Reports included with each plan. Our Customer Success team is a virtual extension to your team. Each user can be configured as an Admin, Builder, or Viewer. Dashboard and report scheduling included for all Users. Embed a dashboard or report into another app or share a direct link. Robust tracking of how users are accessing data and permission tracking. No phone apps required, Yurbi is responsively designed to work on desktop and mobile displays. Tightly integrate Yurbi into your business process by automating tasks via a robust API. Configure each user to the language (or terminology) of their preference. If you're not happy with Yurbi, let us know within 30 days and we'll refund your money. No questions, no hassles. 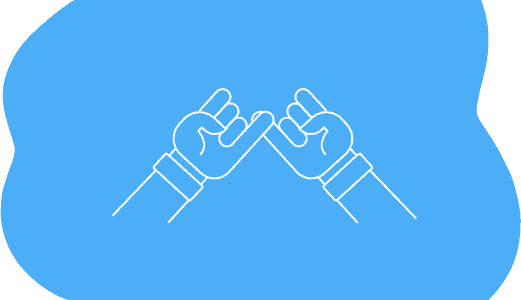 Pinky promise. Have Questions? If you don't see your answer below just contact us and we're here to help. Can I do a trial of Yurbi before purchasing it? Yes, you can download a full version for 14 days which is plenty of time to do a mini proof of concept on Yurbi prior to starting a month-to-month subscription to continue to explore the platform. However, we're not hard to work with, if you need more time than that just let us know and we'll extend your trial period. Get started here. What is a User Access License? Everyone who logs into Yurbi requires a User Access License per data source. If the user only builds or views data from a single data source, only 1 User Access License is needed. If the user can build or view from multiple data sources, 1 User Access Licenses is needed per data source. I have 5 users that need access to 3 data sources each, how many licenses do I need? Each license provides access to 1 user per data source. So in this case with 5 users needing access to 3 data sources, 5 * 3 = 15 user licenses are needed. The price calculator above will do the math for you and you can email the results to yourself afterwards. What's the price per report builder vs report viewer? We keep pricing simple, each user access license can be configured to be a builder, viewer, or even an admin per unique data source. We've configured our pricing to be simple and affordable regardless of the user role. What if I outgrow my licenses, can I purchase additional licenses? Of course, with a monthly term you can increase or decrease licenses each month. With an annual term you can increase at any time and the new license cost will be pro-rated to the end of your annual term. You are only able to decrease licenses at the renewal of your annual term. I want to schedule reports to a lot of users, does each user need a license? 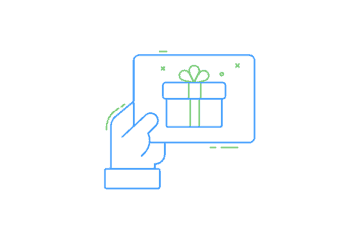 All users in Yurbi need a license to access each data source, but for the schedule-only use case, we do have a special license type if you have a lot of recipients. Contact us to discuss this option. We have software that we want to embed Yurbi into for use by our customers, how much is that? The pricing on this page is for internal use only, we do have an OEM White Label partner program with pricing specific for that use case. Contact us to discuss this option. We have a lot of very casual users that log in infrequently, do we have to allocate a dedicated license to each? We've designed this simple pricing model to be affordable for large use cases, even with a large population of infrequent users. However, contact us to discuss as a special license type may make sense in your environment. For monthly plans we require credit card or wire transfer in our billing portal. For annual plans you have the option of credit card/wire transfer via the billing portal or traditional manual invoice/check payments. There is a 30-day money back guarantee on all plans, monthly or annual. After 30 days, you can cancel your subscription to not auto-renew by contacting us or via the billing portal. We do not refund any pro-rated amount of your term, you will continue to have access to Yurbi until the end of your current subscription term. Can I switch between the monthly and annual plan? Yes, part of our low risk commitment is you can start with a monthly plan and once very happy that Yurbi is the solution you need long term, just contact us and we can switch you to the annual plan and the cost savings that come with it. If you are already on the Annual Plan you can switch to monthly at your renewal date. We sure do. We have many happy customers all over the world. We accept both credit cards and bank wire transfers as payment methods for International customers. Is Yurbi self-hosted/on-premise or Cloud based? Yurbi is 100% web-based but we do not offer it as a cloud service. For now, we would rather focus on making great software than managing a hosted infrastructure. However, we do offer hosting services and you can read more about those here. Are there any training or implementation costs? Included with all plans are free onboarding and training from our Customer Success Team. All plans also include unlimited access to our Customer Success team for the duration of your subscription. If you need more formal training or on-site training we do offer that for additional fees. Learn more about our "Done For You" services.